OMG Posters! » Archive "Seven Dogs" Art Print by Jay Ryan - OMG Posters! If you’ve been searching for a new children’s room print, look no further. 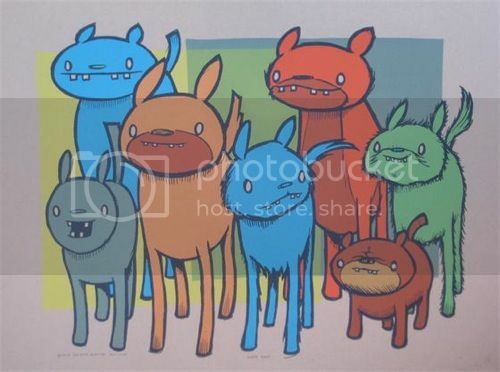 Jay Ryan’s “Seven Dogs” is an 18″ x 24″ screenprint, has an edition of 230, and costs $30. Visit TheBirdMachine.com.